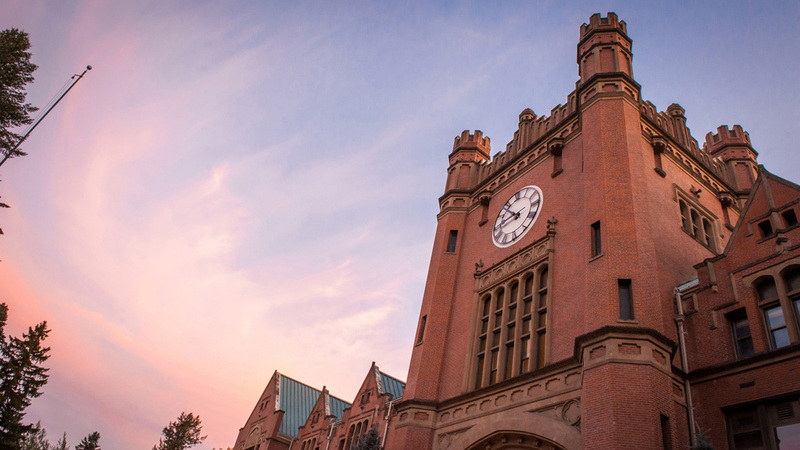 The University of Idaho, along with all other public institutions of higher education in Idaho, is required by policy of the State Board of Education to assess student learning in general education and in the academic majors. In late 1991, the Northwest Commission on Colleges and Universities, which provides institution-wide accreditation for the university, issued similar guidelines requiring assessment. Effective teaching and learning are essential to meeting our long-held goal of producing responsible, well-prepared citizens and leaders in their professions. Our program of student outcomes assessment has been implemented to ensure that we continually improve the teaching and learning process and the programs that support that process. Information vital to effective assessment includes student performance as well as student opinions on the quality of university academic programs and services. Students are an integral part of course and program assessment and are asked to participate in assessment activities; these include, but are not limited to, examinations, performance assessments, interviews, surveys, focus groups, and follow-up studies after graduation. University level learning outcomes broadly describe expected and desired consequences of learning through integrated curricular and co-curricular experiences. The outcomes become an expression of the desired attributes of an educated person and guide coherent, integrated and intentional educational experiences. They provide us with a basis for ongoing assessment to continuously improve teaching and learning. Learn and integrate - Through independent learning and collaborative study, attain, use, and develop knowledge in the arts, humanities, sciences, and social sciences, with disciplinary specialization and the ability to integrate information across disciplines. Think and create - Use multiple thinking strategies to examine real-world issues, explore creative avenues of expression, solve problems, and make consequential decisions. Communicate - Acquire, articulate, create and convey intended meaning using verbal and non-verbal methods of communication that demonstrate respect and understanding in a complex society. Clarify purpose and perspective - Explore one’s life purpose and meaning through transformational experiences that foster an understanding of self, relationships, and diverse global perspectives. Practice citizenship - Apply principles of ethical leadership, collaborative engagement, socially responsible behavior, respect for diversity in an interdependent world, and a service-oriented commitment to advance and sustain local and global communities. These learning outcomes are further developed at the program and course level. Learning outcomes for undergraduate and graduate degree and approved certificate programs can be reviewed by clicking the links on the left.